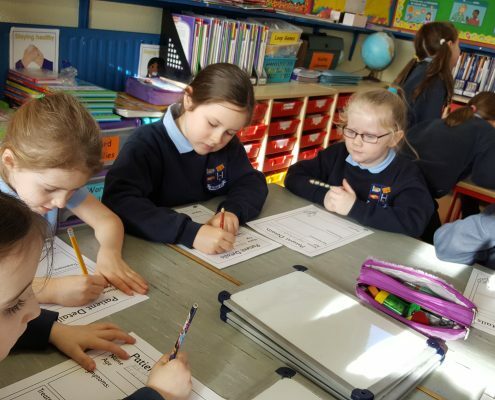 At 10 minutes past 10 on Friday, 10th February, we took part in the Operation Transportation Physical Activity Challenge, which encouraged all primary schools to simultaneously spend 10 minutes being active. 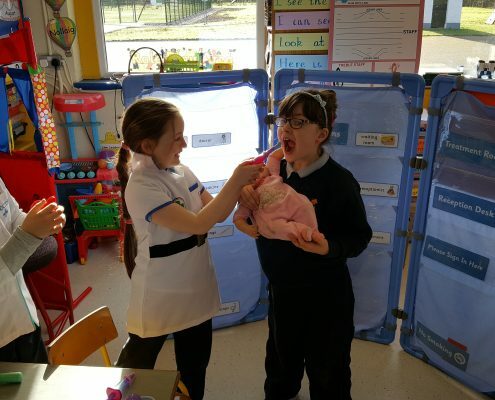 At Ballagh School, we thoroughly enjoyed an action packed 10 minutes, by taking part in lots of fun activities. We are learning about Microbiology. This is the study of bacteria, viruses, and other microbes that are invisible to the eye. These tiny creatures are everywhere, even on you and in you! Don’t worry, most microbes are harmless to humans. Less than 500 years ago, people believed that illnesses were caused by evil spirits or poisonous gases. Today, we know that many illnesses are caused by germs and microscopic viruses and bacteria that we cannot see. This is possible because of the microscope. The first microscope was probably invented by Hans and Zacharias Jansen in the 1600s. These early microscopes had compound lenses, which means they used two pieces of glass. The microscopes were not very powerful. They could magnify something only 20 times. In the late 1660s, Antony van Leeuwenhoek made his own powerful microscope from one lens. His microscope could magnify things up to 200 times. He discovered cells in blood, animal tissue and plant tissue. He even discovered bacteria by looking at plaque from his own teeth. Today, people still use compound microscopes, but they are much improved. There are trillions of mini-animals and microbes that you cannot see. The microscopic world includes viruses, bacteria, protists, microscopic fungi and mini-animals. Today’s compound microscopes use light to illuminate organisms. Light microscopes are so powerful that they can magnify something by 1,000 times. A micrograph is a photograph of something seen in a microscope. http://www.ballaghns.ie/wp-content/uploads/2016/03/web-logo-V2-1.png 0 0 Ballagh Ns http://www.ballaghns.ie/wp-content/uploads/2016/03/web-logo-V2-1.png Ballagh Ns2017-02-13 13:17:292017-02-13 13:23:41Microscopes- Senior Room Microbiologists!!! We are integrating mindfulness into our teaching and learning. The practice of focusing your awareness on the present moment while observing your thoughts and feelings in a non-judgmental way – is now being used in our class as part of our SPHE (Social Personal Health Education) Curriculum to build positive mental health and self-esteem. Studies suggest that for schools to engage in mindfulness it is likely to have beneficial results on the emotional wellbeing, mental health, ability to learn and even the physical health of their students. We’re teaching our future generations to be emotionally intelligent throughout their lives. Aistear- An apple a day keeps the Doctor away!!! 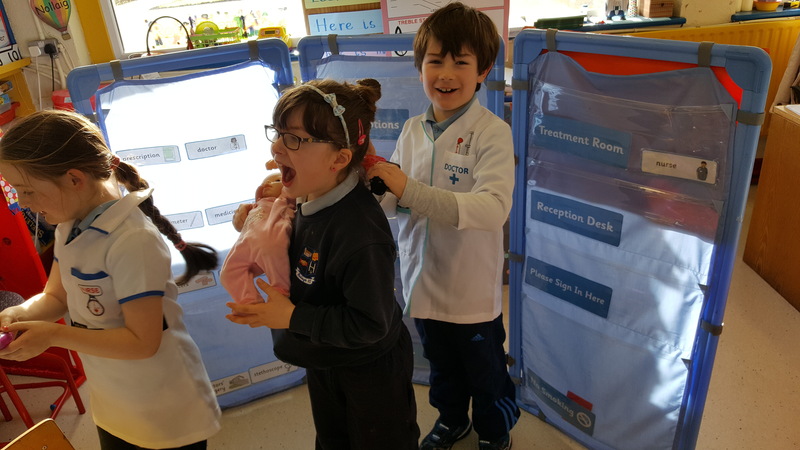 Oh dear, the doctors and nurses in the Junior Classes have been very busy this week! Our theme for the month is the Doctor’s Surgery. Here in the socio-dramatic group the waiting room has been full of patients waiting patiently for their turn to see the doctor or nurse. http://www.ballaghns.ie/wp-content/uploads/2016/03/web-logo-V2-1.png 0 0 Ballagh Ns http://www.ballaghns.ie/wp-content/uploads/2016/03/web-logo-V2-1.png Ballagh Ns2017-02-13 13:01:452017-02-13 13:05:35Aistear- An apple a day keeps the Doctor away!! !